Whether it develops naturally within your body or as a consequence of being introduced into it, doctors know that it is as unhealthy to have an excessively high male hormone supply as it is to live with a clinically deficient one. This is why using the correct testosterone therapy dosage throughout your doctor prescribed Low T treatment is crucial in producing the results that you and your hormone therapy doctor are aiming for. Each age group of adulthood has been assigned its own clinically established healthy range that medical providers can refer to in evaluating the status of a patient’s testosterone levels. As in all forms of hormone replacement therapy (HRT), the goal of treatment is find each individual’s optimum level within that target range. Determining any patient’s optimal goal for hormonal balance requires the degree of knowledge and experience that is possessed by established HRT providers like Nexel Medical. It is because they lack this specific type of expertise that many primary care providers do not test or treat their patients for testosterone deficiency but prefer to have them see a hormone replacement specialist or endocrinologist for dealing with this type of medical problem. Now that TRT (testosterone replacement therapy) utilizes various forms of male hormone replacement medicals, all with their own separate dosage recommendations and precautions, determining and adjusting for the optimal dosage per patient has become even more complex. It has become more crucial rather than less so for adults seeking treatment for Low T to have the medical assistance of doctors who have the expertise to ensure that each patient’s testosterone therapy dosage protocol is the one that will produce the most desirable therapeutic results – whether the patient is using an injectable form of treatment; a sub-cutaneous pellet form; or a transdermal cream or gel form. So if your regular physician explains that he or she does not feel qualified to provide you with testing and treatment for Low T, they are simply being honest with you. 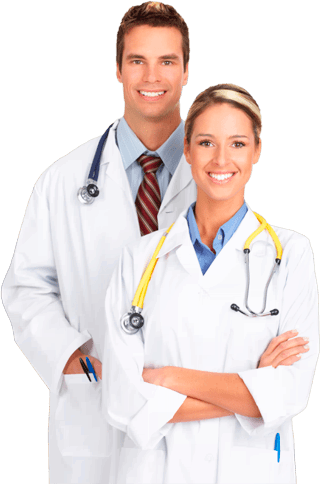 Now that there are a number of highly qualified TRT providers such as Nexel Medical that are readily available to US patients online, what is not complicated about receiving a prescription for using testosterone replacement therapy is finding an excellent medical provider who can help you eliminate your unhealthy Low T symptoms and restore you to your ideal hormonal balance. Even using the most carefully prescribed testosterone therapy dosage is going to require the consistent use of correctly administering it in order to provide a patient with optimal effectiveness and safety. Perhaps the only exception to this requirement would be the patients who are using the subcutaneously implanted pellets, which are effective for anywhere between four to six months per implant period. In the use of injectable testosterone treatments, which often follow a dosage protocol of being injected every two weeks, patients will typically learn how to prep and self-administer their treatments, much in the same manner that patients using insulin injections or human growth hormone injections learn to do. Because this is the method of medication delivery that has been in use for the longest time, many experienced TRT doctors are the most familiar with prescribing and making periodic adjustments this form of treatment for their patients. They are also very familiar with the best ways to assist their patients in using testosterone injections correctly. The pellets, gels and creams prescribed by today’s doctors have been in medical use for a much shorter period of time. Consequently, they are still learning new things about how to help their patients receive the desired results from these newer forms of treatment, and are still fine-tuning each of these form’s ideal testosterone therapy dosage protocols. Many patients request these forms of treatment because the need to use injections can be somewhat intimidating to them at first. However, it is not uncommon for many of these patients to switch to using injectable testosterone because of its greater affordability as well as its tendency to deliver more consistent results. 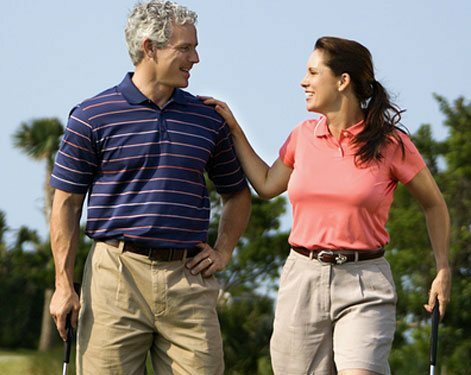 Nexel Medical, as experienced TRT medical providers, understands that in many respects, Low T treatment requires a certain amount of flexibility along with the ongoing monitoring of male hormone levels in order to help each patient achieve their best results. So one of the major keys to your success in using any form of bio-identical testosterone replacement therapy is to have a doctor who thoroughly understands the nuances involved in restoring your male hormone supply to optimal balance. What many men are discovering is the logical way for them to find TRT providers with expertise in prescribing the correct testosterone therapy dosage and the other key aspects of successful treatment is to go online. It is not only the logical way to do your research of hormone replacement therapy; it has also become the most logical way to conveniently access it. On the website of a highly qualified provider like Nexel Medical, adults will find a comprehensive one-stop source for a wealth of user information on TRT as well as a means to quickly and easily access it. Your location no longer needs to dictate your geographic access to qualified hormone therapy doctors; innovative online medical providers like Nexel Medical have created streamlined procedures for receiving treatment for Low T that anyone with Internet access can now take advantage of. We also want you to be comfortable with your level of understanding about what’s involved in using testosterone replacement therapy, so at Nexel Medical, we have an entire team of clinical advisors whose responsibility is to see to it that any prospective patient reaches that comfort level before committing to an ongoing program of treatment. Anyone is welcome to contact our advisors directly by either calling us or emailing us to get their questions answered and to have any of their unresolved concerns resolved – by receiving the factual and pertinent information they need. So if you have specific questions you would to discuss in regard to testosterone therapy dosage protocols, or any other aspect of using TRT, we encourage you to contact Nexel Medical for obligation-free assistance with them. We consider it our professional privilege and responsibility to educate adults about using male hormone replacement therapy; human growth hormone replacement therapy; or any type of hormone replacement therapy for adults that they want to learn more about.